Great work everyone! Only about a week until the deadline, so make sure to get those entries in. I’m hoping to have a gallery for this one. Just reply to this thread and either attach or include a link to your image. Darkerr your first try isn’t bad at all but there is always scope for more improvement . So I recommend reduce the burnout or reduce the your key light intensity . The window light contribution isn’t visible enough. 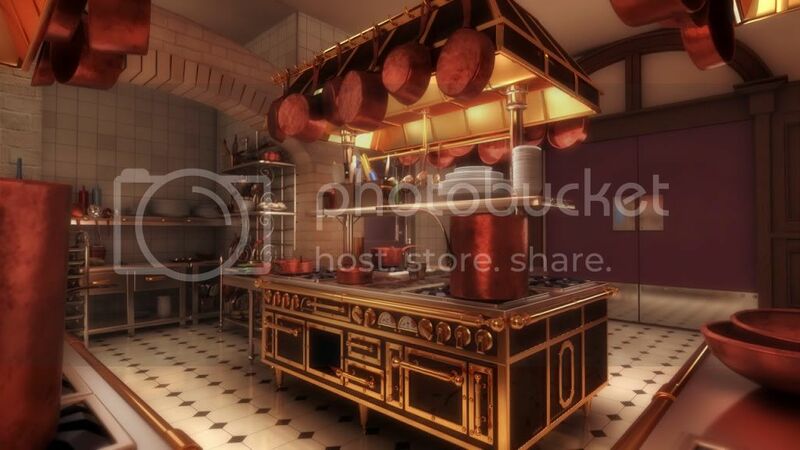 Copper utensils are giving it a monotone so might need to work shader a bit. Just think about the light source and then every thing will automatically falls in it’s own place. First I like to thanks Kanooshka, Jeremy Birn, Yogesh Sherman and fellow artists for the valuable feedback and making this challenge a lot more fun, Nirav Sheth, Ben Cooper, Kevin van den Oever and other entries all did very well its my pleasure to be a part of this challenge with you all. Here is my final image beside my hectic projects deadline, off course there is always scope for more improvement as  Yogesh Sherman said, but I really had fun and learned a lot,. Best wishes with all, take care. Maybe you could reduce the overall contrast, the floor is a bit too bright whereas the areas under the hood could use some bounce light. 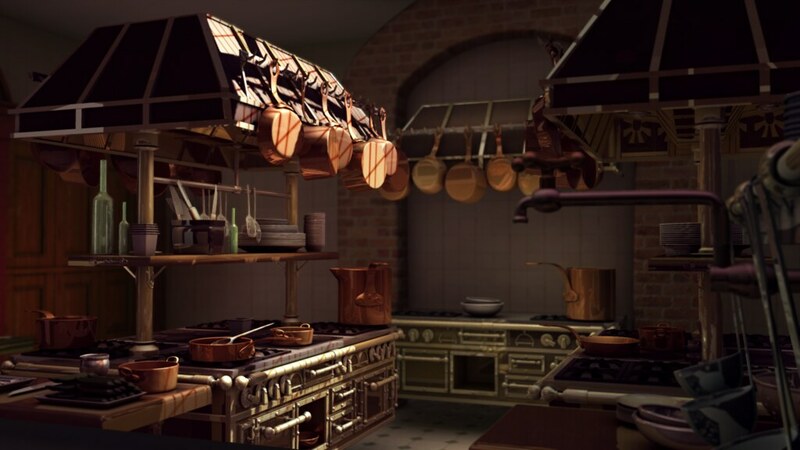 Also the stove legs in the left corner should be in the shadow/ darker I think. Hi again, thanks for comments. This new render, If nothing I can do tomorrow, ths will be final version. 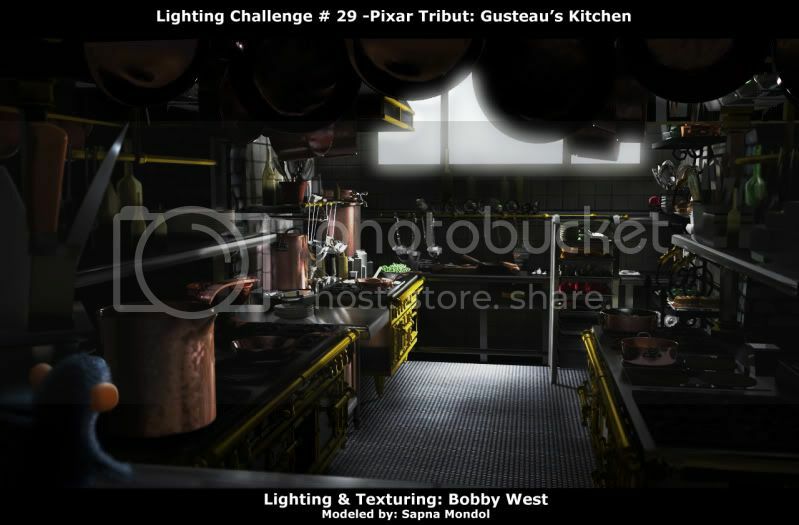 As I am new in this lighting challenge I was little confuse regarding where I have to post my final render, because at main threads page every challenge have WIP and Final Images threads page but I havent see such page for this challenge, so is it okay if upload my final render here with link or I have wait for Final Images page to show up? Beside my last final render which I uploaded which is with depth of field but I like to share same render which I like more is the same but without depth of field, if any one like this one. Feedback is still desired, of course. I uploaded it to my portfolio on here as well, but I don’t know how long that will take to upload and clear. So here is mine from Flickr. I’ll be closing the challenge at 12AM EST. Don’t forget to get your entries in! thnks for the feedbacks till date and good luck every1!! Hello, Tried to get one in at the last minute. Is there a Final Image Thread going to be posted? I’ll post it in there too. From what I’ve seen Everyone’s been doing real well. I try to not get discouraged and just do my best. Thank you for this awesome scene with so many areas to practice in. I would love to keep going on this scene later. Thanks Kanooshka for your challenge and for your help. It was an hard challenge but very interesting. 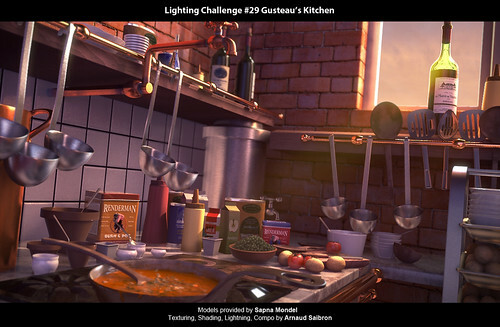 This is my final entry for cg society’s lighting challenges #29. Texturing, Shading, Lighting, Compositing by me. 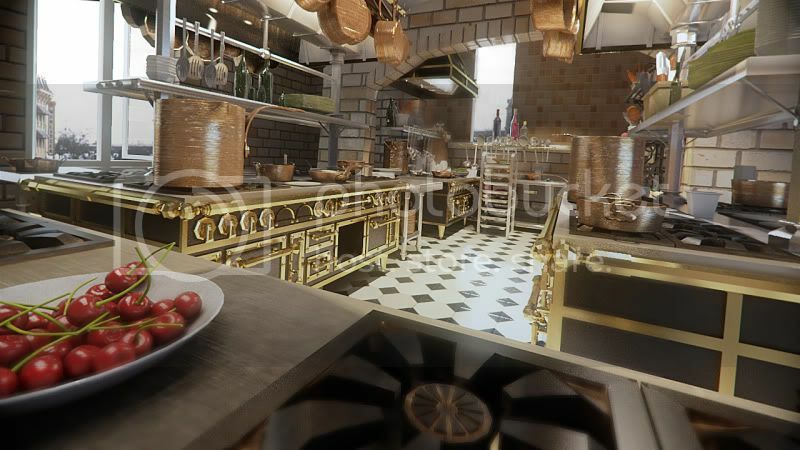 Softwares used- Maya, vRay, After Effectes.